You already saw some octopus-like images here? They are called Mind Maps.Mind mapping is a widely used powerful technique to visualize information particularly suited to visualize technological topics. If you look on a mind map you see that one central topic is connected to subtopics with an underlying hierarchical structure. Scientific studies validate that mind mapping improves learning, understanding, planning, and with it the development of personality and knowledge. The devices changed from a pen to a computer but the basic idea to connect topics like cells in our brain are connected by nerves remained the same. With the introduction of Apple’s iPad in 2010 Steve Jobs gave us a device which solely can be controlled with our hands. So using a mind mapping tool on the iPad is like a rebirth of the old handcrafted mind maps. 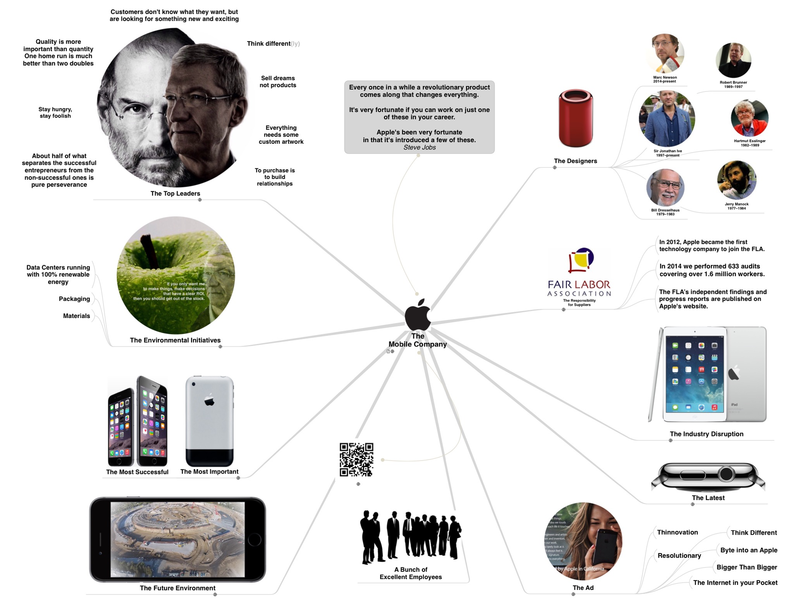 Mind mapping on an iPad supports this kind of learning processes in a specific way. It’s because a touchscreen is much nearer to human activities than any other device or textbook could be. What we do is mostly what we do with our hands. It’s our first approach to new things. Creating artworks, modeling new devices or writing down all the ideas leading to the E=m c c equation on a sheet of paper while walking through the room and reflecting our thoughts is almost always done by hand. Feel free to download the map shown in my image.